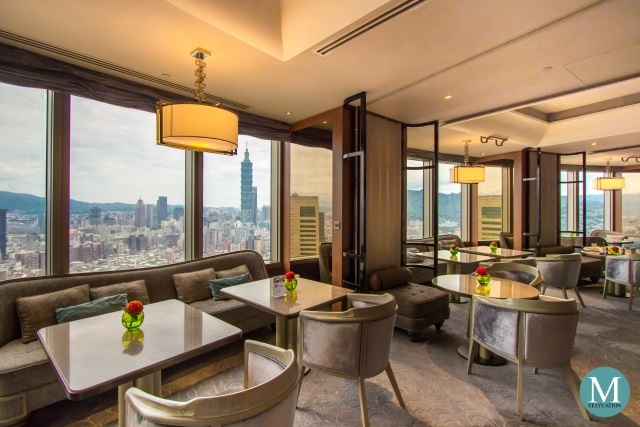 The Horizon Club Lounge of Shangri-La's Far Eastern Plaza Hotel, Taipei is located on the 36th floor of the hotel tower, offering panoramic views of Taipei City and an unobstructed view of Taipei 101. 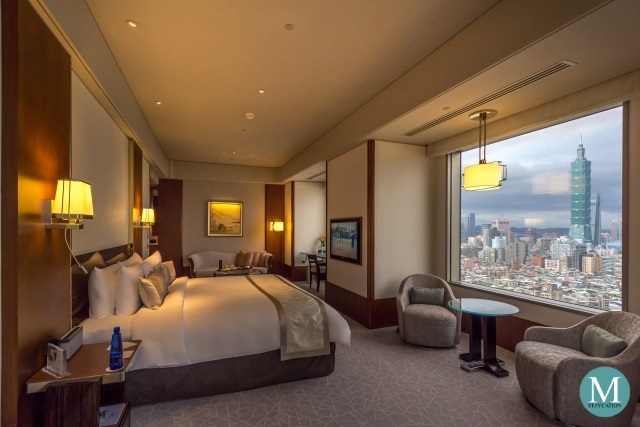 Open daily from 6:30am to 11:00pm, the Horizon Club Lounge offers personalized services and dining benefits exclusive for hotel guests staying in a Horizon Club Premier Room or any of the hotel's suites. I spent most of my afternoon inside my room and after catching the sunset, it was time to head to the Horizon Club Lounge for the pre-dinner cocktails and canapes. It was already 6:30pm when I arrived but luckily the lounge is not yet full and there were still plenty of seats to choose from. 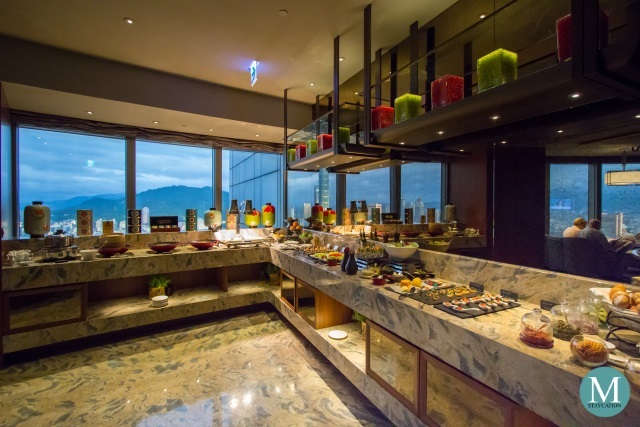 There's a selection of hot and cold dishes including smoked salmon and some cold cuts and cheeses. Several canapes are also served fresh from the kitchen. 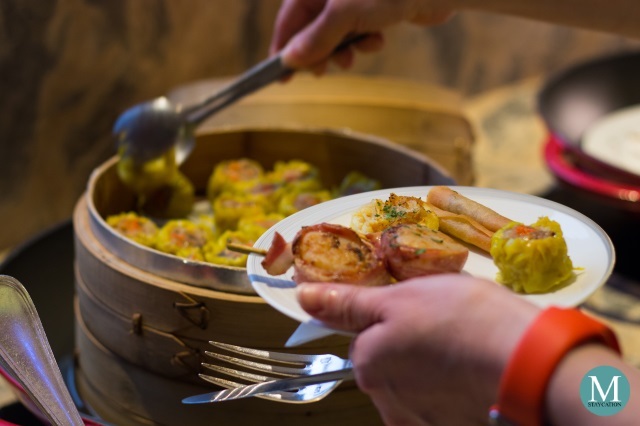 Some of the warm dishes include dimsum, scallops wrapped with bacon, fried spring rolls and more. Cakes and other dessert items are also available. 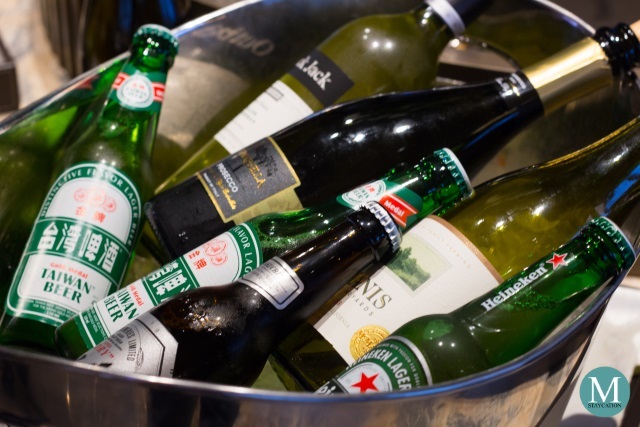 In addition to coffee, tea and soft drinks, Horizon Club guests can also choose among a wide variety of wines, beers and spirits. 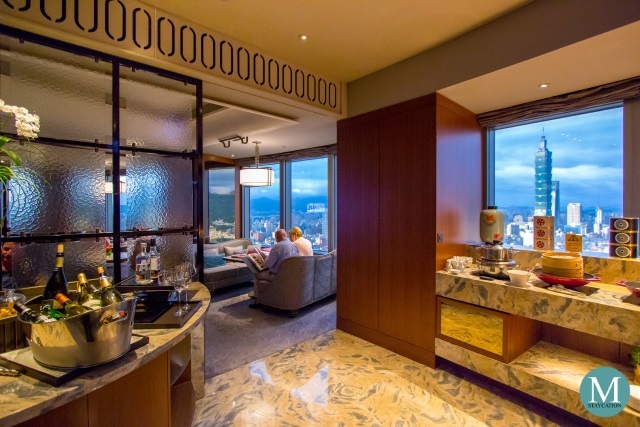 You can also mix you own cocktails or have any of the lounge associates prepare one for you. 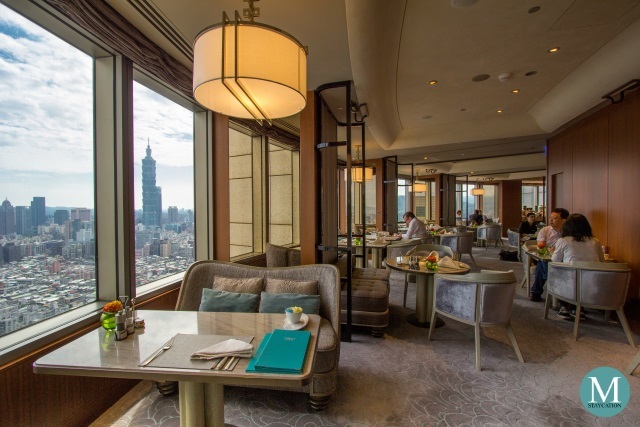 Shangri-La Taipei's Horizon Club Lounge great selections of dishes can easily make for a decent light dinner. 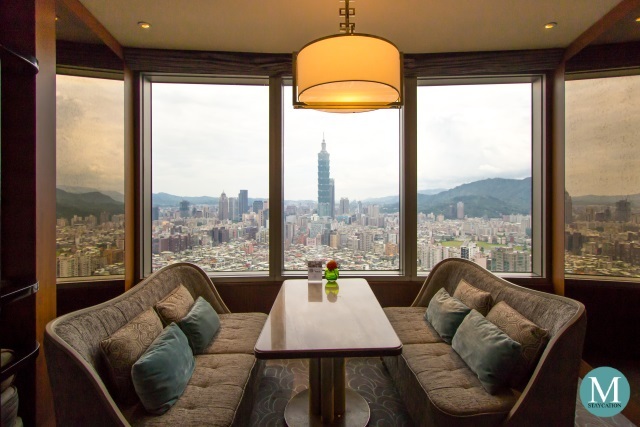 The pre-dinner cocktails and canapes are perfect if you plan to go out for late dinner or visit one of the night markets of Taipei. 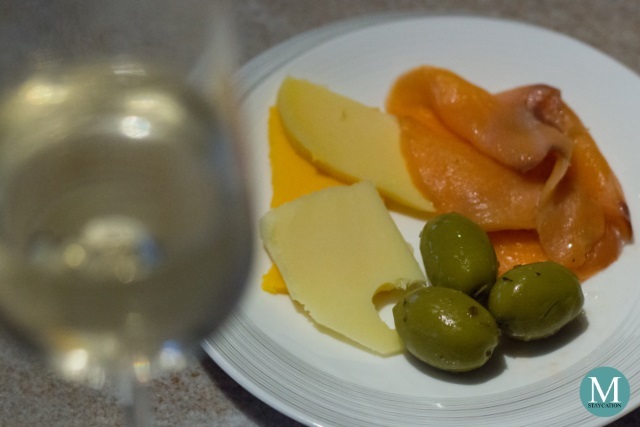 That evening, I had a couple of glasses of white wine and started with cheeses and smoked salmon as appetizer. I then sampled some of the warm dishes. 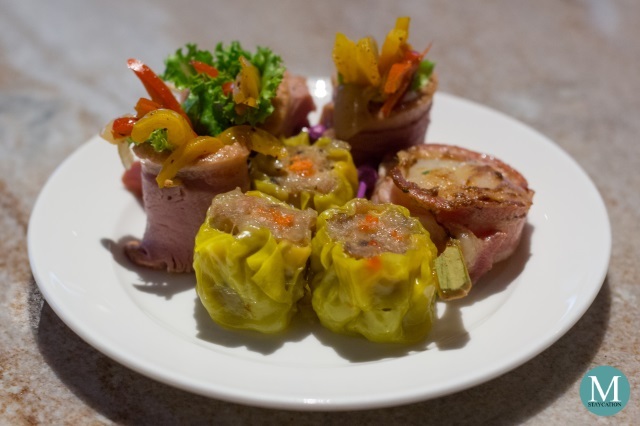 My top favorites were the steamed pork dumplings, the scallops wrapped in bacon, and the peppers wrapped in ham. 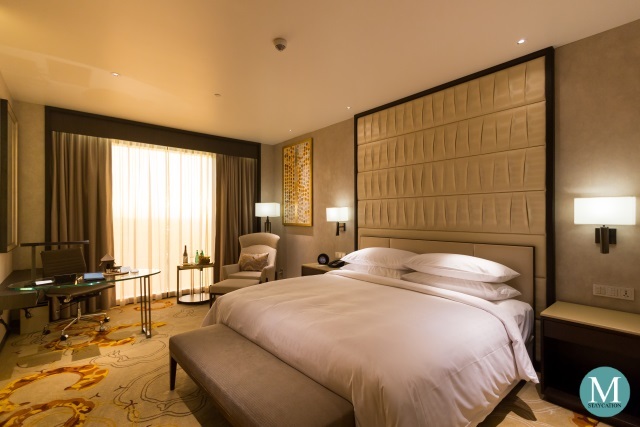 Horizon Club guests staying in a Horizon Club Premier Room or a suite have the option of having their complimentary breakfast either at the Horizon Club Lounge or at Café at Far Eastern, the all-day dining buffet restaurant of the hotel. 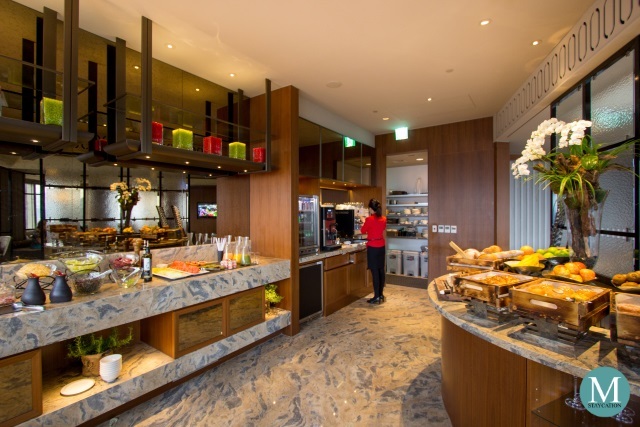 Breakfast at the Horizon Club Lounge features a buffet of pastries, viennoiseries, charcuterie and cheeses. Cereals, fruits, salads and yogurt are also available. 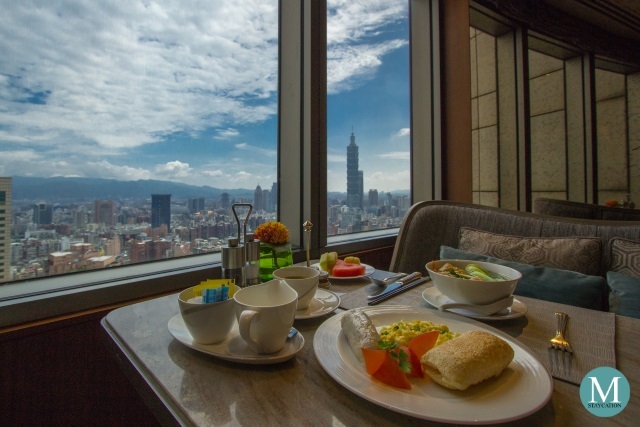 Traditional Taiwanese breakfast items are also included in the buffet such as sesame pancakes (shaobing), fried bread stick (you tiao), and sticky rice roll (fan tuan). There's also congee which you can customize with your choice of toppings. Eggs are cooked a la minute and are done based on your preference. 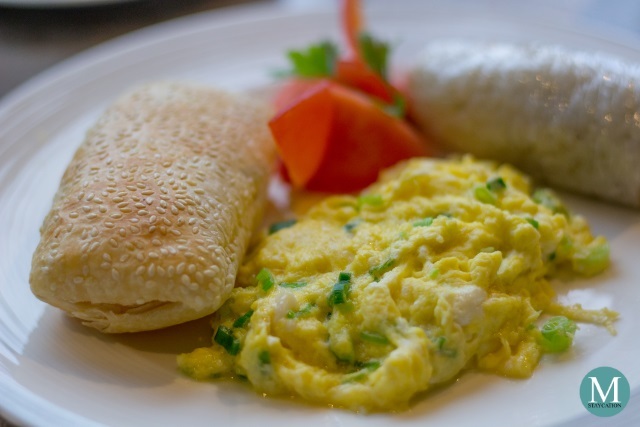 I had scrambled eggs with scallions which is inspired by the scallion pancakes famous in Taipei. I then paired it with my sesame pancake. 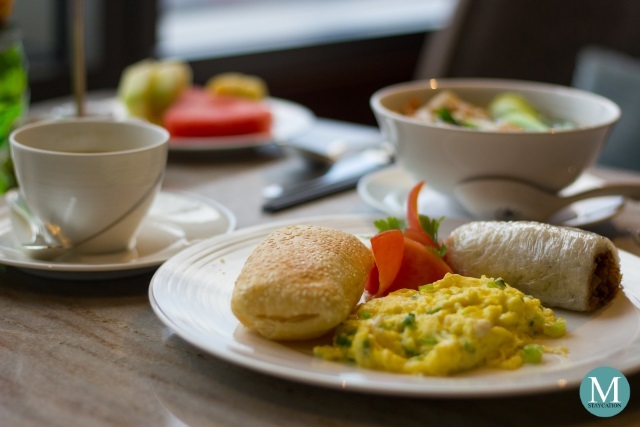 Aside from the buffet spread, guests can also order one item from the a la carte breakfast menu. 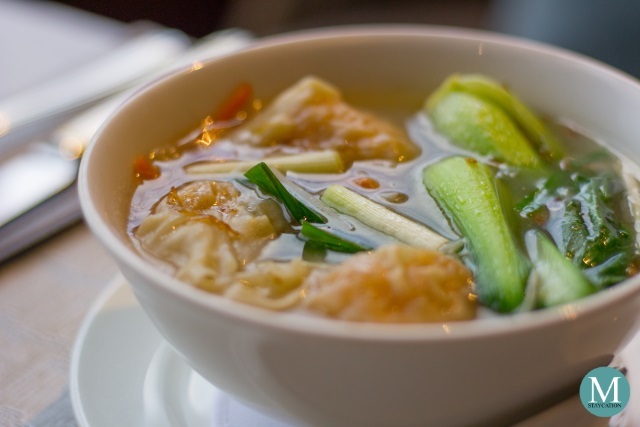 Since I was craving for dimsum and soup, I ordered the dumpling soup. There are also Western items from the a la carte menu. 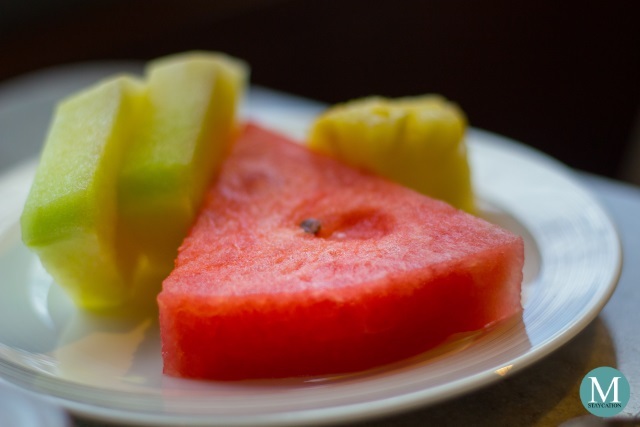 To end my breakfast, I had assorted fresh fruits such as watermelon, honeydew and pineapple. It paired them with chilled orange juice, and finally a cup of hot jasmine tea. 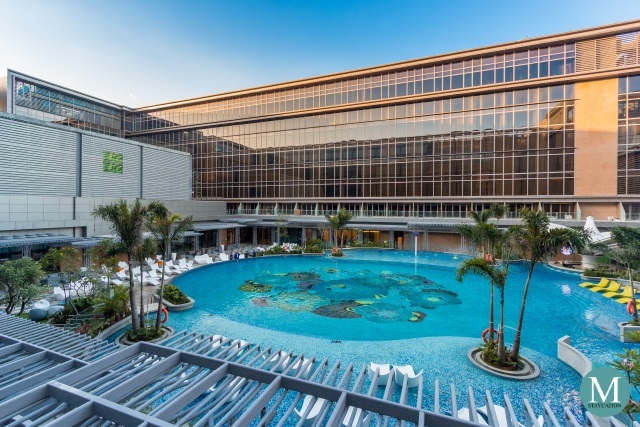 The Horizon Club Lounge is perfect for staycations especially for families who prefer to spend most of their time inside the hotel while enjoying it amenities. 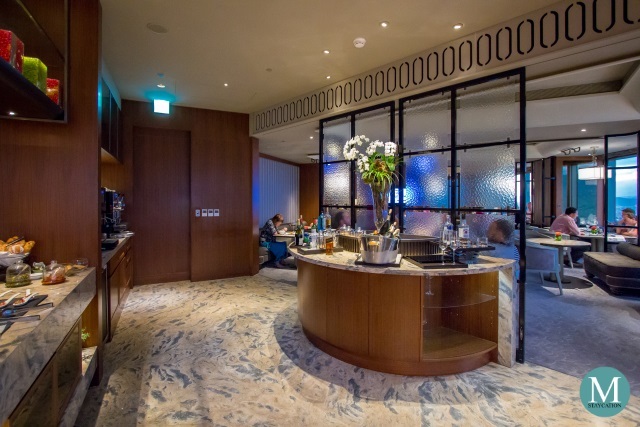 The Horizon Club Lounge is also perfect for a businessman who would be traveling with his wife and small kids. 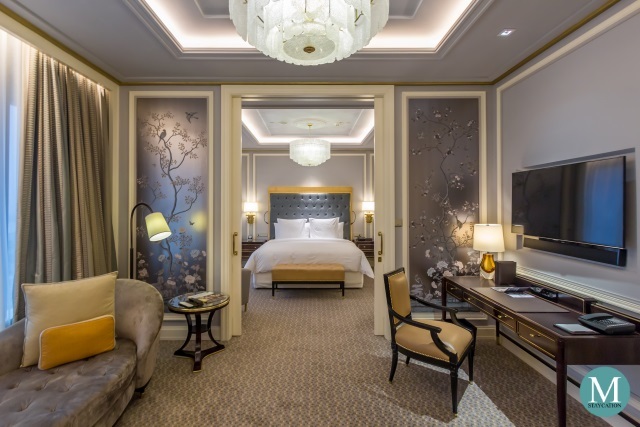 While he is out working, the family can enjoy the amenities of the hotel and of the lounge. 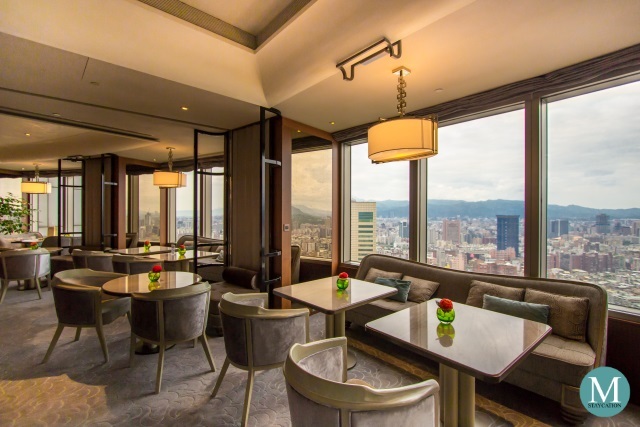 Business travelers who would be doing business inside the hotel, the Horizon Club Lounge is the perfect venue to receive and entertain them (additional fee will be charged). 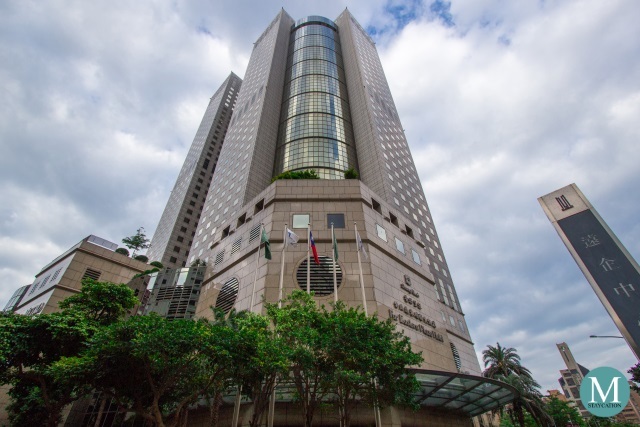 Business travelers can also take advantage of their complimentary use of the Horizon Meeting Room.